PARIS: French Environment Minister Nicolas Hulot announced his resignation on Tuesday, citing disappointment with the lack of progress on climate and other environmental goals. Hulot said his decision, taken on Monday night, was the result of an “accumulation of disappointments” over the inadequacy of steps to tackle climate change, defend biodiversity and address other environmental threats. 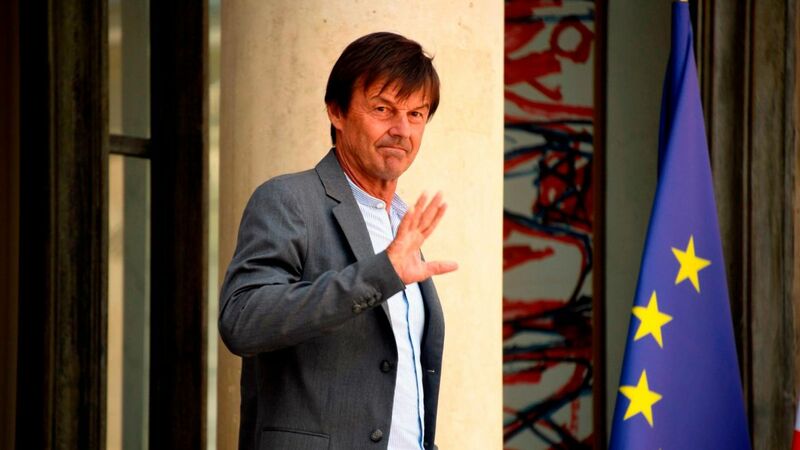 A former TV presenter and green activist whose cabinet portfolio included energy, Hulot said on France Inter radio that he had not yet informed President Emmanuel Macron of his decision to resign. Hulot consistently scored high in popularity polls and his departure will be a blow to Macron, whose own ratings are plumbing new lows. Shortly after his announcement, government spokesman Benjamin Griveaux said he “regretted” Hulot’s exit. “It’s a blow from which we’ll recover,” Griveaux added. Hulot, who had been frustrated over the government’s resolve to reduce France’s reliance on nuclear power, announced his departure after the government said it would relax hunting laws, a measure aimed at boosting Macron’s appeal in rural areas. In his radio interview, however, he emphasized the inadequacy of “mini-steps” taken by France and other nations to slow global warming and avert a collapse of biodiversity. “I don’t want to create the illusion that we are facing up to it,” he said.